Getting married is an exciting journey. Preparations often take well over a year. I’ve put together this wedding photography FAQ to hopefully answer most of the questions you might have. Weddings are some of the most beautiful occasions in life (next to becoming parents maybe) and I always feel honoured if couples choose me to photograph this very special day in their lives. Why should you choose me? Because I put all my energy, my creativity, my blood, sweat and tears into my photos. I run the extra mile to get that one extra shot, I ‘fight’ for my art – and I enjoy the most satisfying feeling if my couples are moved by my photography. I honour the occasion and will do everything to make your wedding amazing. I’m a silent hunter, I shoot without being noticed and I constantly anticipate what could happen next. To make it short: I love my work and I would love to share this passion with you. I’m a naturally creative person, so I divide my working life evenly between professional photography and composing music for film and TV. The combination of writing music and taking photographs is just perfect for me – it satisfies my constant need to be stimulated both musically and visually.A typical music project takes between four weeks for television and 12 weeks for film. Photography meanwhile can vary from a few hours shooting products to a few days, for example shooting a wedding and spending two days in post-production. I feel very lucky to combine these two as I’m channelling my creative energy every day, making all of my jobs exciting and inspiring. How about some posh music (which I wrote for a wedding film!) while you read this? Of course – I understand that every couple is different, and hence my packages are guidelines which can be crafted to your individual requirements. You can upgrade my small and medium packages, for example extending two hours to three hours, quite easily. Get in touch with me today and I will make you a flexible offer. How far will you travel for a wedding shoot? Though I am based in Surrey, I am open to all suggestions and have flown to France, Spain, Switzerland and The Netherlands for jobs in the past. I include travel within my final quote on the condition that I can arrive within an hour from my base in Guildford. Any distances further than this region will need to factor in travel expenses, which I am happy to discuss with you as a couple. This is typical wedding photography FAQ – please get in touch to discuss. Variety is the spice of life, so I offer a wide range of photography from product, food and architectural shoots to portraits, maternity, newborn, family, events and of course wedding photography. The basic photographic principles are the same across the board but every job helps me to improve the technical skills required for a wedding – for example, product photography translates to getting that perfect ring shot, while portrait photography helps me direct the couple for their photoshoot. Thanks to the advent of modern digital photography, I keep printing separate. 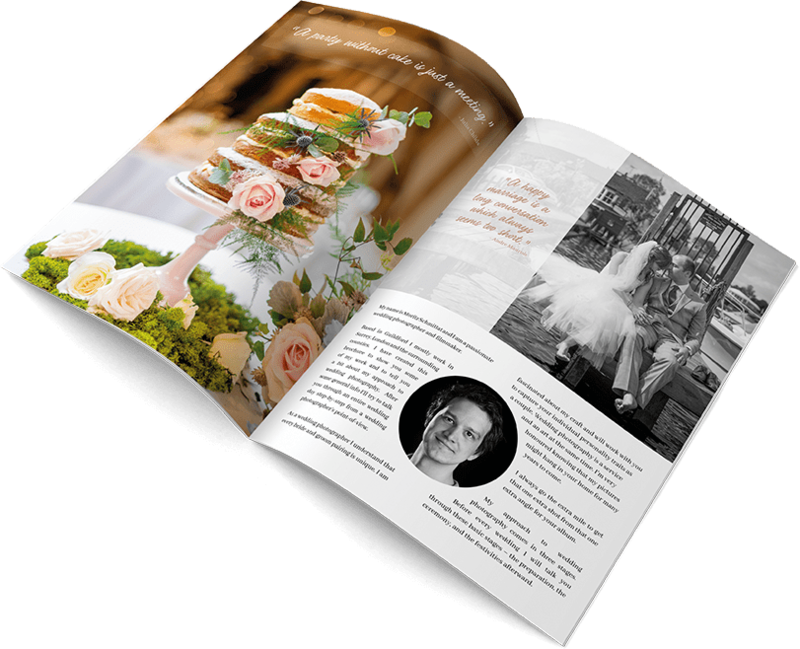 After your wedding you’ll receive a link to your secure page on my website, where you’ll see your entire album in three different resolutions.For printing images, you can choose the “print” resolution, whilst the HD resolution is great for displaying your photos digitally. If you want to send your photos, I’d recommend downloading them in “small” resolution. Take a look at my packages page to find out more – for middle and large-sized packages, I’ll also personally mail a USB stick to you. There are so many ‘highlight reel’ wedding galleries online. Can you show us a complete wedding shoot from start to finish? With the permission of my clients I will happily send you login details for my most recent jobs – these are the same links you’ll receive when you choose me as your photographer. Naturally I only post the best photos on my website; however if we were to meet in person, for example at a wedding fair, I could show you a whole wedding album. Get in touch with me today and we can arrange a meeting in which I can show you up to 400 photos of the same wedding to illustrate the consistency of my work. Alternatively, email me at moritz@schmittat.uk and I will send you some links. Please understand that I cannot post such a link in this wedding photography FAQ. What’s the timeline from engagement to final photo album? As part of this wedding photography FAQ section I have created a timeline to show you every step on the way from your engagement to your photo album. Please scroll down to read more. What printing services can you offer? Today’s online printing services such as SnapFish pose challenges for all photographers to operate profitably on printing. Therefore I will happily upload all of your photos onto your personal online printing account at no extra charge, giving you the chance to order prints or photo-books. Alternatively I can design and order prints using these services on your behalf – please see my album printing page for more details. I’d like to keep the technical part of this wedding photography FAQ very short – photography is much more about creativity than gear I believe. I use the latest Sony Alpha full-frame cameras up to 42 megapixels and 20 frames/second with a variety of professional G-Master lenses. Each scenario requires something different: a macro lens for the rings, a tele lens for the church, a wide angle lens for small hotel rooms and prime lenses for portraits or low-light moments. The coolest feature however is that my cameras shoot completely silently, there is no camera clicking anymore, not a single sound disturbing the important moments – this was not possible yet just one year ago. I can also create beautiful sunset, night or dance floor shots thanks to my several wireless flashes. Every photo is saved onto two separate in-camera memory cards – instant backup on-the-go! Then when I get home, I back up everything twice more – one onto a raid storage system and another onto an encrypted cloud. Wedding memories are too precious to lose, which has made me a bit of a backup-obsessive! What legal information do we need to know? I operate under the limited company name Mo Music Ltd., which originates from my music business. I am VAT registered, so all prices include VAT as standard. I am registered with Hiscox for public liability insurance up to £5 million, for which I can happily provide you all credentials. Regarding your personal photographs, all shoots come with unlimited usage rights – they are yours, after all. Feel free to share and print them as you wish. I will happily meet with you to discuss your requirements over coffee, or you can connect with me on Skype where we will get to know each other and I can pitch my services to you. If you decide to hire me, you will receive two invoices – the first is a non-refundable deposit, which amounts to 20 per cent of the total cost and is payable when you book my services. The second invoice is the remaining 80 per cent and will be charged on the wedding date itself. I am happy to receive full payment beforehand, but all payments must be made within two weeks of your big day. Your photos will be watermarked until a full payment is received. Can we leave a review? I welcome all customer feedback and would encourage you to do so. I am a member of Reviews.co.uk, which features 100 per cent genuine reviews. To find out more, visit my reviews page. Do you have a brochure that we can download? Yes, I do! Please click here or on the image below to download. I’ve tried to make this wedding photography FAQ as informative as possible but probably I still might have missed something… please get in touch. I’m usually answer all my emails within 24h.